Simple language makes these poems easy to understand unlike the classics. And the relatable emotions is what makes these poems memorable as they find a place in the readers’ lives. 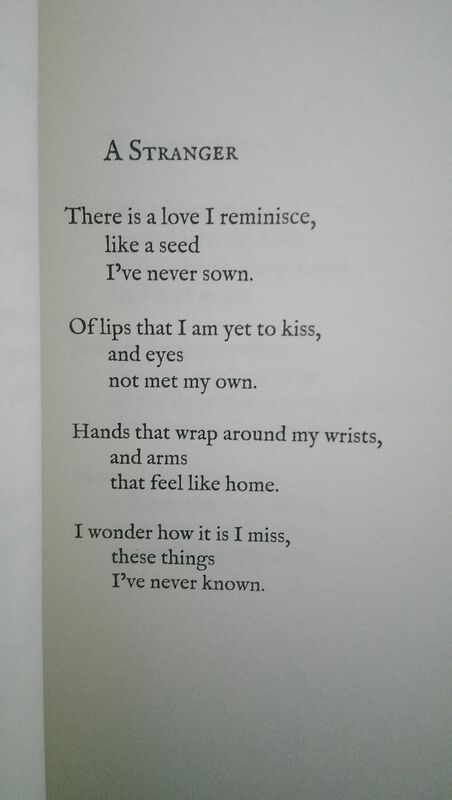 Thank you Lang Leav for providing a poem for almost every occasion. This I stumbled upon today and was overwhelmed by it, for what it means. It is interesting how something, someone wrote ages ago, at a different time and place altogether, could mean so much to someone else today; and how a lot of times the intended (or the unintended) and the perceived meanings can be so alike or different, yet, nonetheless relevant. I am truly dumbfound by life as it makes things come across us when they really ought to. I genuinely believe a beautiful poetry from the bygone era deserves to be shared when they are getting lost in the yellowed pages of old books and among the least browsed pages on the web.